The compilation album that was released on 27 April this year to raise funds for the victims of the tsunami in Japan is now available on Spotify. Our contribution to the album is “I Wanna Be a Stranger” – a rockin’ tune from the first album sessions that has previously only been released on a bonus disc accompanying our debut in the US. 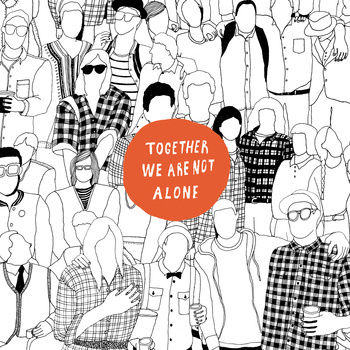 You can buy Together We Are Not Alone through Thistime Records Bandcamp page. The Japan relief compilation album Together We Are Not Alone (Thistime Records) is out today. You can get it on Bandcamp and iTunes Japan. You get 27 songs for $12 USD, but you can pay more if you like. 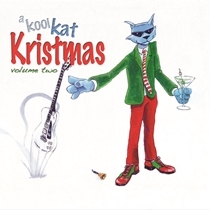 Donate generously, as all profit from the compilation goes to the Red Cross. We have contributed a song called “I Wanna Be a Stranger”, which has previously only been available on the bonus disc accompanying The Striped Album in the US. Featured artists are The Posies, Bleu, The Wellingtons etc. Johan Bergqvist (a.k.a. Joey Fake) also contributes a brand new solo track. Our Japanese label Thistime Records is putting out an album on iTunes and Bandcamp on April 27 in order to raise money for the earthquake/tsunami relief efforts. We have contributed the song “I Wanna Be a Stranger”, which has previously only been available on the bonus disc accompanying “The Striped Album” in the US. I’ve also offered up a solo tune called “Cul-de-sac” that I’ve recorded for my next solo album. In our safe part of the world it feels like it’s hard to do something to help, so we welcomed this opportunity when we were approached with the charity disc idea. A specific bandcamp page will be made for it and as soon as it’s up and running we’ll let you know.